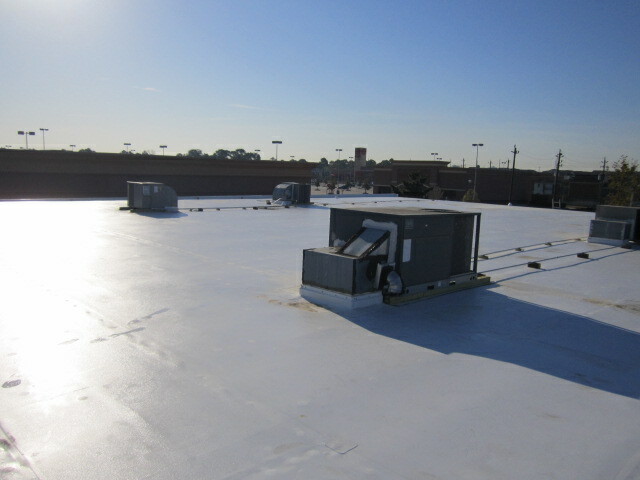 Save money with the roof repair services from Reel Roofing & Construction, LLC in Houston, Texas. From minor repairs to complete re-roofing, we can transform your building for the better. One of the ways we stand ahead of others in the industry is our use of Infrared/thermal imaging for leak detection. The FLIR (Forward Looking Infrared) camera enables our crew to locate the source of the leak through moisture scans. Water penetration causes temperature anomalies allowing us to pinpoint the source of the leak. We use this information to provide ALL of our customers with fact-based quotes for the repair, and therefore mitigate the issue directly and cost effectively rather than replacing a roof that may still have years of life left in it. We have been able to save many of our customers thousands of dollars in unnecessary roof replacements by incorporating this technology as standard procedure. Contact us to learn more about moisture surveys.